To celebrate the 20th Anniversary of Better Living Through Chemistry, the DJ will perform the album in its entirety. 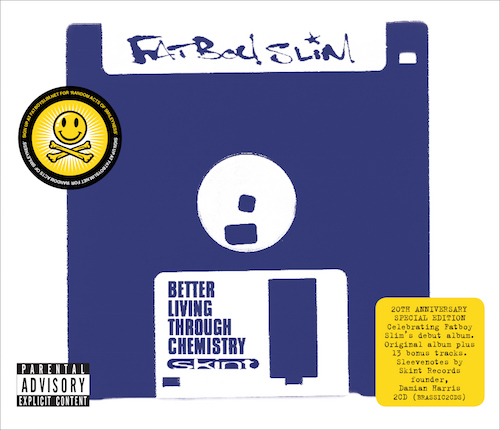 Fatboy Slim is set to celebrate the 20th Anniversary of his debut album, Better Living Through Chemistry. Twenty years to the day it was first unveiled, a new edition of the album will be released on 23 September via influential dance label, Skint. To mark the occasion, Fatboy Slim - otherwise known as Norman Cook - will perform the album in its entirety at The Social, London on 13 September 2016. The album will be available on expanded 2CD and special limited edition yellow vinyl formats. The 2CD version will feature the album in its entirety on disk one and a second bonus disk of rare B-Sides and previously unreleased material.